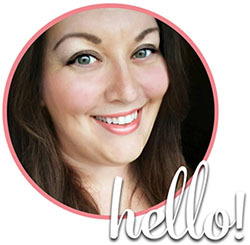 This post is part of a social shopper marketing insight campaign with Pollinate Media Group® and Nestle, but all my opinions are my own. #pmedia #BreakfastEssentials https://my-disclosur.es/OBsstV. Watching my carbohydrate and sugar intake has become an important part of my life. I have to be careful of what I’m eating, but I don’t always have time to make a wholesome breakfast. My husband and I share a car, and on the days when I have to take him to work, I have to get up early, grab something quick and go. Unfortunately, most “convenient” breakfast options are sugary junk. I need a breakfast that is loaded with nutrients to start my day off right. If I have a breakfast that’s nutritious, and has lots of fiber, I’m good to go till lunchtime. Carnation Breakfast Essentials has become my go-to solution for a healthy breakfast on the fly! While Carnation Breakfast Essentials is a complete nutritional drink on its own, sometimes I like to add a little extra to jazz it up. One of my favorites is my Chocolate Raspberry “Green” Smoothie. I say “green” in quotes because it doesn’t look green. It looks chocolatey, rich and amazing, which is why your kiddos will love it. They will have no idea that there’s tons of vitamins, minerals and good stuff in there for healthy bodies! I picked up the Rich Milk Chocolate flavor at Safeway. 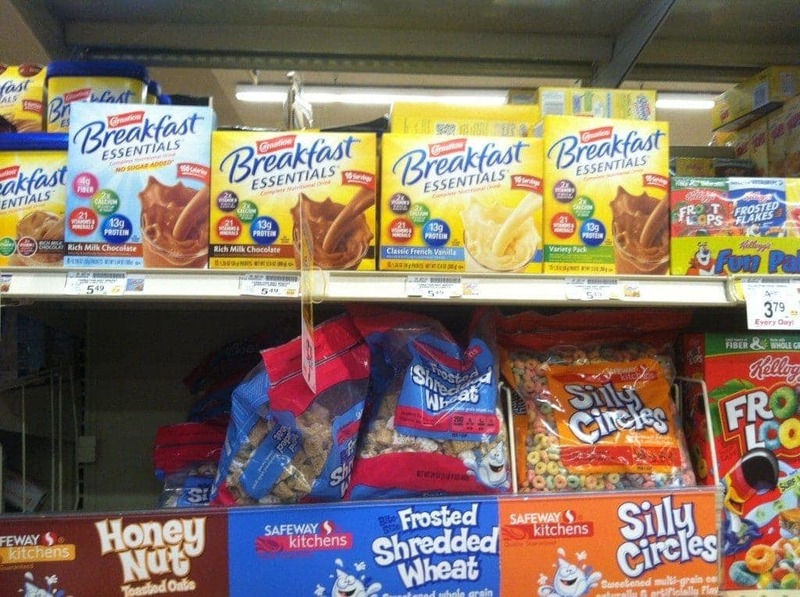 My store sells it right near the cereals so its easy to find. There’s lots of flavor options for the powder, as well as bars and ready-to-drink shakes. Since I am adding ingredients to it, I chose the powder version and because I am watching my carbs, I use the version with no sugar added. It has only 8 net carbs per serving, and 4 grams of fiber. Add 1/2 avocado with the pit removed of course. And two packets of Carnation Breakfast Essentials Rich Milk Chocolate Flavor. 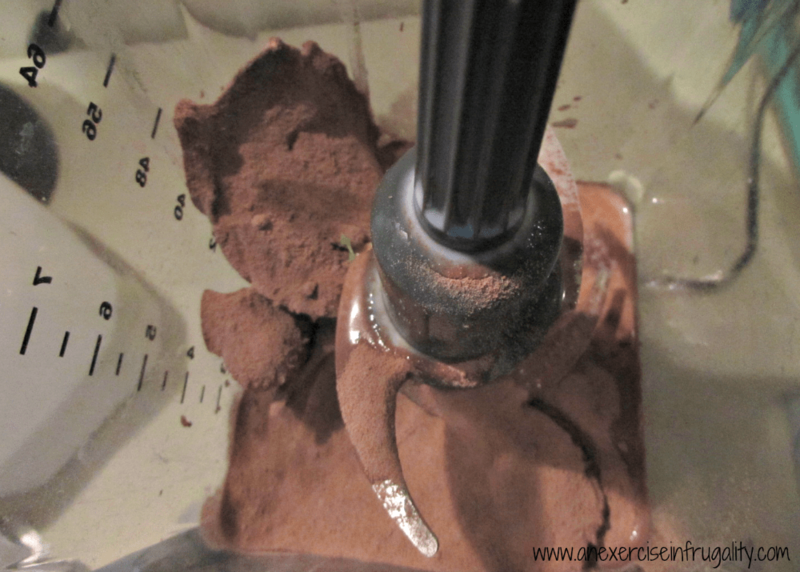 Then BLEND! Make sure to stir and blend thoroughly so there’s no chunks. That’s it! Pour into two glasses and enjoy cold. 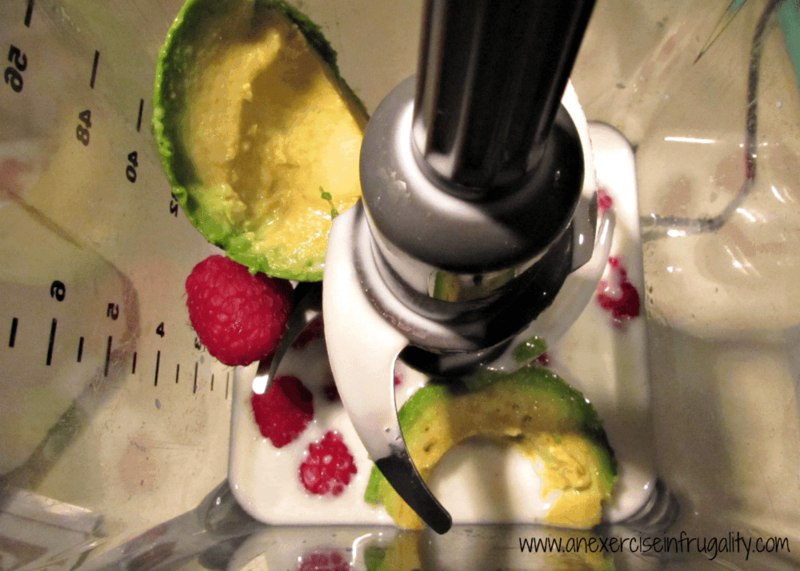 The avocado adds even more nutrients, as well as healthy fats and fiber to help keep you full. 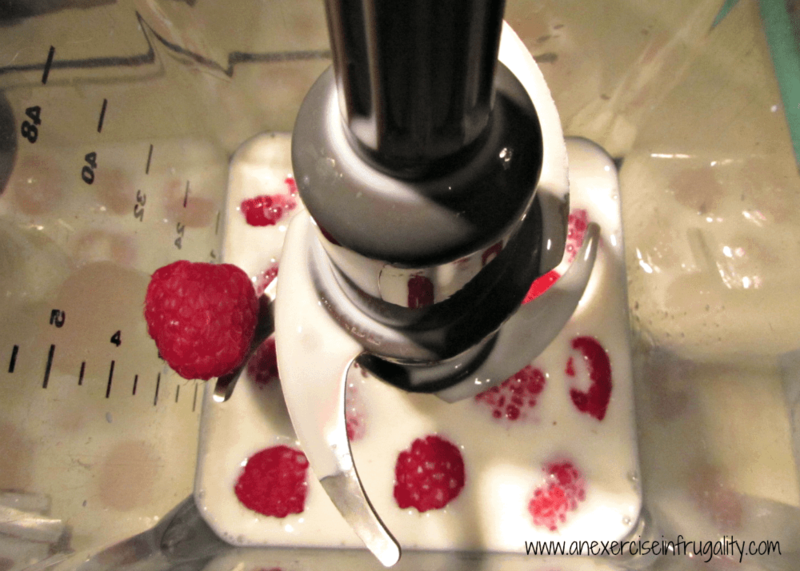 The raspberries add a touch of sweet and a great twist on the creamy chocolate flavor. You can’t even tell there’s avocado in there, which makes it perfect for getting a serving of veggies in for your pickiest eater. The Carnation Breakfast Essentials is perfect for busy mornings, and easy to make. Young kids can simply mix with milk, and older kids can customize their own creations using a blender with adult supervision. There’s lots of flavor options too, and even more if you customize it. I like it because they have 21 vitamins and minerals, 13 grams of protein and as much calcium as a 6oz cup of yogurt. Looking for other smoothie options? 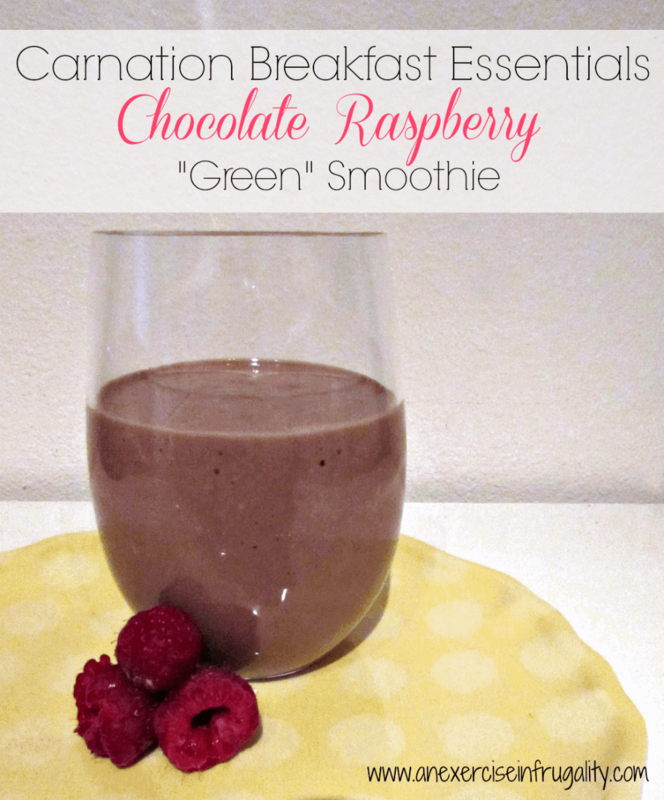 You can find more smoothies made with Carnation Breakfast Essentials here. So that’s it! Super easy to make, and sure to fill your bellies with all the nutrients you need to start your day right, while tasting like a creamy chocolate raspberry dream! Did you try it? Be sure to let me know what you think!